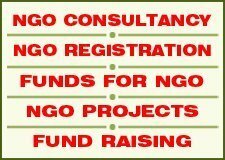 Fundraising is the main step for running and managing the decided and expected programmes and activities of NGO. 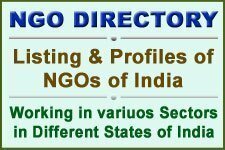 NGO is mostly formed for the Fundraising for various issues and for for various programmes for which the members and organisers of the NGO form, establish, register and run the NGO. There are many ways and process to raise the Funds for NGOs and for the programmes of NGOs. The basic source to raise and maintain the fund through the internal sources of the members of NGO. The internal resources include the membership fees and individual donation. To collect the funding for public can be a process and way to raise and create the funds. Main source of funds and income is Schemes and Projects through which the grants-in-aid can be received from the Government, Funding Donor organisations, Companies under Corporate Social Responsibilities (CSR), Funding from foreign funding agencies and donors and donation from other sources. Foreign funds can be received by getting Prior Permission from the Home Ministry, Government of India to get foreign funds. The permanent permission registration certification is required to get foreign funds, and it is possible to get after 3 years with certain conditions under the Foreign Contribution Regulation Act (FCRA). If you want to raise funds then there can be tge fundraising campaigns. For funding the meetings of the supporters can be organised and funds can be collected. To collect and get funds you can form and manage professional network with other NGOs, Government agencies, media group, professionals and the corporate sector. Money required for an NGO to operate primarily goes into their educational and social programs, the overall operation of the NGO (administration, utilities), and projects (surveys, giving programs). Both the board of directors and the executive director should be active participants in fundraising and it is important that writing grants, seeking contributions, and other fundraising skills are acquired skills early in the NGOs development. In order to come up with the best fundraising strategy, it is important to identify what the needs are of the NGO and what sources can best fulfill these needs. Professionalism, communication, and accountability are crucial for building trust with a potential donor. Also, understanding why a person or group is supporting a program, activity, or the NGO as whole is useful in soliciting them to contribute for a second time or even continuously. Foundations. 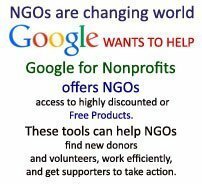 Generally, they all have readily available guidelines that can be found through researching that explain what kind of NGOs they fund and how to apply for grants. There tend to be three different types of foundations. Most foundations fall under the category of independent foundations where most of the funding comes from individual, family, or group endowments. Community Foundations receive money from local sources and distribute it to local NGOs. Corporate Foundations are set up legally through business corporations and is governed by trustees. They tend to support communities in which the corporation operates. Corporations and businesses that have staff working in community relations or public relations departments. These departments fund many charities in communities where the company operates and usually provides grants to NGOs regardless of location. Religious groups tend to fund organizations regardless of location. Individuals may provide long term funding or short term funding to an NGO. After this point program activities can be discussed and implemented. It may take about a year before these prove to be successful. Finally, at the end of the first year, it is important to review the mission, goals, and vision to make sure the NGO has stayed on track. Critiquing programs and activities to see what can stay or be changed is also beneficial.